It is hard to believe that this time of year is here again. We are excited to celebrate the birth of our Lord and Savior Jesus Christ. We pray that each of you experience Him in a new and unique way this holiday season. May we all remember to keep Jesus first as He is the reason that we are celebrating Christmas. Our children and teenagers have already been blessed with two group of Romanians who have come and given them Christmas presents. More gifts and many special things are planned for this holiday season for them. We will share about everything in next month’s newsletter. 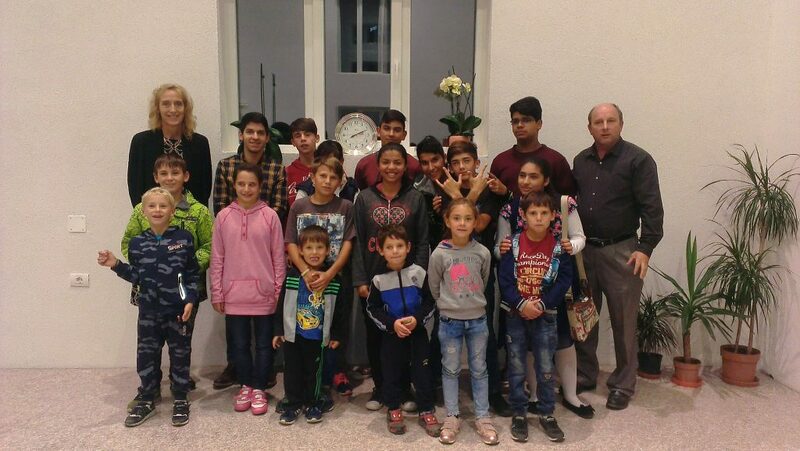 The church in Germany has again made 160 Christmas presents for the children of Pesac. They will be bringing them to Romania this weekend. This is such a huge blessing and tremendous help for us. God is always so faithful. Thank you so much to those in Germany who helped with this project. We have a few updates that we would like to tell you about. First, we now have a Facebook page called Beraca Foundation. Many of you have already visited it. Next, we have updated our website with some new pictures and information. We have also added the option to be able to contribute to Beraca Foundation by using PayPal if you have it. You can get to our Facebook page through our website, too. The address is beracafoundation.weebly.com. Finally, we have set up Beraca Foundation on Amazon Smile. It donates a percentage of sales to a non-profit organization. If you would like to use it, it is very simple. First, go to Amazon Smile and sign in with your Amazon account. Then, pick our organization from those listed on Amazon Smile (ours is Beraca Foundation, Jacksonville, IL). After that, continue as usual to make purchases. We appreciate and thank any of you who can use this. It is a blessing for our ministry to receive these extra funds. The food bank has been meeting such a vital need in Lugoj. We have a vision to enlarge and improved it this coming year. We plan to find a couple of rooms to rent where we can make it operate more like a store. We want the people to be able to come in and get the food items that they really need for the week. We would also like to be able to provide toiletries, cleaning supplies and second-hand clothing. Our vision is to work with the pastors of Lugoj, providing for people in their congregations or people that they know of who have legitimate needs. Extra funds will be needed to be able to carry out this vision. If anyone would like to be a part of this ministry through financial giving, it would help us to better provide for these needy people. Again, we want to thank everyone who has contributed to our ministry through financial giving, prayers and visiting us in Romania. It takes all of us working together to accomplish all that God wants to do in Romania. We wish you all a very Merry Christmas! This entry was posted on Monday, December 17th, 2018 at 2:42 pm	and is filed under Karen & Ruben Popet. You can follow any responses to this entry through the RSS 2.0 feed. Both comments and pings are currently closed.